Mercedes-Benz has announced the all-new CLS, a four-door luxury coupe. Pricing is to be confirmed, but it’s anticipated to cost from around £50,000 and will be available in March 2018. 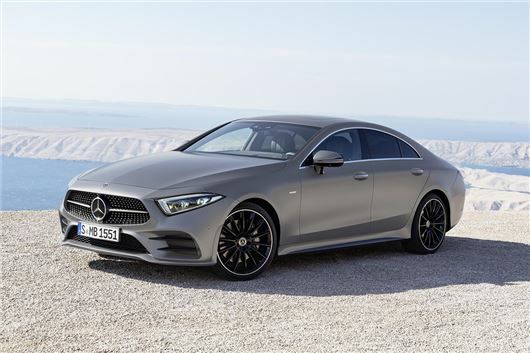 The new car takes the same sleek, four-door profile of its predecessor and tightens it up, with sharper lines and more angular lights, taking inspiration from the high-performance Mercedes-AMG GT. Inside, the layout is similar to the current E-Class, with a widescreen instrument binnacle that flows into the infotainment screen. Mercedes-Benz promises a “high-grade choice of materials” and a “very high level of finish” which is perfectly believable, given its recent models. From launch there are three engine options. The entry-level choice is the CLS 350 d, a diesel with 286PS, plus there is a CLS 400 petrol and a CLS 450 hybrid, with respective power outputs of 340PS and 367PS. All of the engines have six cylinders and come with 4MATIC all-wheel drive, along with a nine-speed automatic transmission. Among the equipment on offer is adaptive cruise control with lane assistance, auto emergency brakes, along with various other active safety systems. Final details of these, along with UK specifications and prices, will be announced in 2018.